Looking gorgeous even at the age of 40 or 50 is everyone’s dream. However, sometimes your appearance may vary as per the conditions of the skin. Sometimes people may get extra skin on eyelids due to some specific reasons and due to which your face look quite dull. 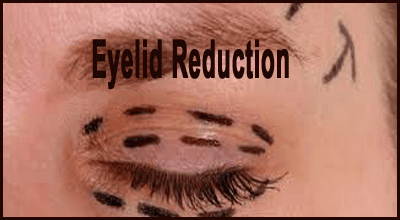 But there is a solution to get rid of this eyelid problem and here in this blog, you will get to know only about the solution. So, without wasting any let’s just start gathering information for you and provide you the best of my knowledge. First of all, let us know what is the perfect solution to remove or reduce extra skin on eyelids? So, after coming to the verdict, I have found that eyelid reduction surgery is the best option you can all do to reduce excess skin from the eyelids. So, if you also want to know everything about this surgery then you have to read the complete blog and come to a conclusion whether you should undergo this surgery or not. Do you have excess or extra skin on eyelids and want to remove this skin from yo0ue eyelids with the help of some surgery. 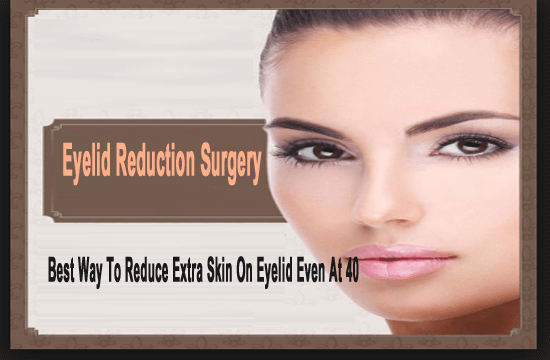 If yes, then you should definitely try eyelid reduction surgery, Eyelid surgery is also known as blepharoplasty and it is generally a surgical procedure to remove extra skin or fatty tissue or reduce loose skin that is surrounded by the eyes area. This surgery will give you a more rejuvenated facial appearance and makes you cool young even at the age of 40 to 50. What Does Eyelid Reduction Surgery Do? Eyelid reduction surgery is the best and the most common plastic surgery. This surgery can be done at alone or even at the same time just like other facial surgery like brow lift surgery or facelift surgery. 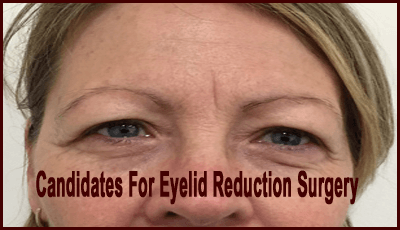 Who Are The Best Candidates For Eyelid Reduction Surgery? This eyelid surgery is the best recommended individualized procedure and it is not suitable for everyone. Do not forget to consult your eye doctor or eye specialist plastic surgeon before you make any decision. Your eye doctor or surgeon will first assess your general health and eye condition and will also plan the treatment that will be best suited for you. Smokers are generally at the increased risk of complications. However, if you are much serious about undergoing the surgery and so smoking should be quit as soon as possible. Is There a Need Of Anesthesia Before This Surgery? Well, yes, there is a great need to take local or general anesthesia before eyelid reduction surgery. Trying modern anesthesia is a good, effective and safe option but it also has some complications and risks. So, before you undergo this surgery, your doctor/surgeon/anesthetist will ask you regarding the medication you are already taking or have any allergies. But it is also important to make sure that you have an updated list before you undergo this eyelid surgery. Where The Surgery Will Take Place? Well, the venue of this eyelid reduction surgery will depend on the general health and the procedure’s extent. Eyelid reduction surgery will be performed as a day case or as an alternative with a very short stay at hospital. A candidate’s specialist plastic surgeon will then advise on the best option for you. What Should You Do Before Eyelid Reduction Surgery? Your surgeon may advise you to stop taking some medications like anti-inflammatory or non-steroid drugs, medicines that contains aspirin. You will also be advised not to take some naturopathic substances like ginko, garlic, ginseng because they may affect the anesthesia and clotting issue. What Should You Do After Eyelid Reduction Surgery? Generally, you can drink fluids and can also eat a light meal just within three hours just after the eyelid surgery. During this surgery, you may notice some discomfort, pain most probably around the incisions. Your surgeon will then prescribe the required pain medication. Some swelling and bruising is normal after the surgery and it may take up to a few weeks to disappear. If you sleep with the head elevated then it will help you reduce the eye swelling. After this, you may be required to clean the eyelids as they sometimes become itchy and crusty. For this, you may use lubricating drops. Eyes are sensitive to light for a few days after the eyelid surgery and so you have to wear sunglasses for some regular days. Also, remember not to wear contact lenses for at least two to three weeks. Is There A Possibility To Have Scars After The Surgery? 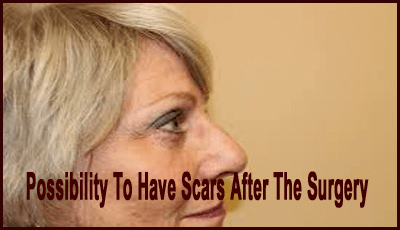 Well, scars are generally an inevitable part of any kind of surgery. A plastic surgeon will definitely endeavour to reduce the scarring and also to keep the scars as inconspicuous as they can. This is generally done by locating the incisions in some hidden sites of the eye area. In some cases, you may also notice creases and natural fine lines along with the scars. But, they may become faded as time paases on and become rarely noticeable. As per the need of the all these expenses, your total cost for this eyelid reduction surgery will be calculated and you will get a final eyelid reduction surgery cost. After going through this complete blog, you must have noticed how eyelid reduction surgery can be beneficial for you. Yes, if you have extra skin under your eyelids or baggy eyes then you can consider for this surgery once even at the age of 40-50. As you can see that this surgery is so effective for those who have this eyelid issue. Also, there is no side effect of this surgery so you don’t have to worry about this issue. And when it comes to the price of the surgery, it will depend on the situation I have already mentioned here. 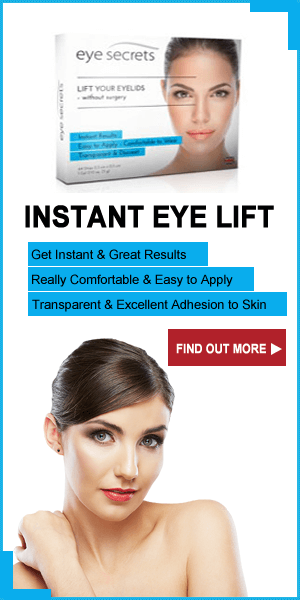 So, all the very best to you if you are undergoing this eyelid reduction surgery. 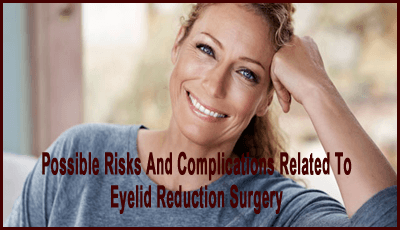 If you have excess skin under your eyes then you can try undergoing eyelid reduction surgery. 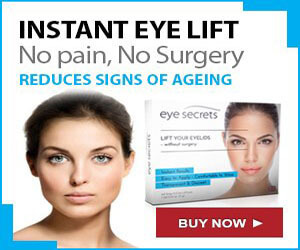 This surgery is the best recommended solution for those who have excess skin on eyelids.